The Sload have made a rather limited appearance in ESO as of yet. While not making any physical appearances, there have been a few mentions. However, even these mentions did not add any substantial insight into the mysterious race, who have not been seen in-game since Cyrus defeated the Sload necromancer N’Gasta in The Elder Scrolls Adventures: Redguard. Inhabitants of the coral kingdom of Thras, the Sload are often referred to as slugmen who are suited for dwelling both land and sea. Renowned for unleashing the Thrassian Plague in 1E 2200, they were responsible for the deaths of over half of Tamriel’s population. It was not until 1E 2260 that an allied fleet named the All-Flags Navy under the command of Bendu Olo, West King of Anvil, sailed for Thras and sunk the island, as well as slaughtering many of the Sload tribesmen in the process. In the Pocket Guide to the Empire, 1st Edition, there are mentions of reports which claim that Thras is rising again, with Sload seen all over Tamriel. Note that this book was written c. 2E 864, which is about 300 years later than the timeline of ESO. Could the reports mentioned in the book have originated from interactions that the Sload had with the Soulless One? It is definitely a possibility. Later, by the time that the Pocket Guide to the Empire, 3rd Edition is published c. 3E 432, it is around 750 years after the events of ESO, and in this book there is a section which describes the geography of the Thras Kingdom. This means that over the 750 years between the 1st Edition and 3rd Edition, the rumours of their rising have now developed into geographical depictions of the kingdom after it recovered from the sinking by the All-Flags Navy. It references how the kingdom resembles a partially submerged coral atoll—16 islands in a semicircle, with the largest and most stable island going by the name of Agonio. If the Soulless One does end up in conflict with the Sload, then it is likely they did not greatly inhibit the efforts of the Sload to rebuild, if these rumours of their kingdom are true. Alternatively, it could suggest that if the Soulless One does encounter the Sload, then it will be away from the shores of Thras, perhaps on Artaeum or the Summerset Isle instead? As previously mentioned, N’Gasta is the only Sload that we have seen in an Elder Scrolls game. We also know that the Sload do not seem to be limited by age, which means that we might see N’Gasta himself make an appearance in ESO, depending on how old he was when he was killed by Cyrus in Redguard. So, why might we see N’Gasta make an appearance and under what circumstances? Well, according to a pilgrim by the name of Artisa Arelas from The Elder Scrolls III: Morrowind, N’Gasta was not only a servant to Mannimarco, but also to Clavicus Vile—both of whom have been significant to ESO’s main plot, the latter even more so in the Morrowind expansion. It does make sense for Sloads to ally with Clavicus Vile, because of their narcissistic and scheming personalities and how Vile is a Daedric Prince of deceit. Clavicus Vile is also one of the Daedric Triad who both The Prophet and Sotha Sil have warned the Soulless One of before, so with this in mind, we may see N’Gasta carrying out Clavicus Vile’s bidding in the not too distant future. 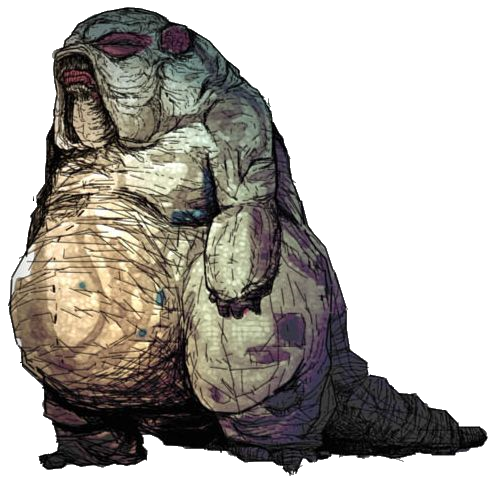 Aside from N’Gasta himself, the Sload as a whole are known for their aptitude in the school of necromancy. For instance, there were two particular events in history where the Sload used necromancy; the Sack of Skywatch (1E 1301) and the War of the Uvichil (1E 2917). Both were attempts to take over the Summerset Isles and while they were ultimately unsuccessful, the Sload still left a destructive mark. Evidently, there are connections between the Sload and the Summerset Isles historically, it is often thought that they were the original inhabitants of the islands, due to their influences in the architecture. So it would make sense for the Sload to try and reclaim what was lost to them as their motive, perhaps this is what will drive them if they do indeed make an appearance in ESO. Also, a playable necromancer class has been a common request by players over the years, could the introduction of the Sload be the perfect opportunity to implement the class into the game? On the topic of magical prowess amongst the Sload, they are also skilled in teleportation magic, using it as a default mode of transportation. Linking to the Artaeum content that has also been found in the files, it is interesting to know that Artaeum has disappeared before and reappeared at later dates, seemingly for unknown reasons. Could this be due to Sload intervention? In ESO, we are given hints as to what the Sload are planning in the 2E. In the Abandoned Homestead, south of Cropsford, a report dubbed The Order of the Black Worm can be found. The last sentence of this report addresses the rumours that the Worm Cult are negotiating with the Sload, but we later learn that the writer of the report (Journeyman Qualitatis) dies and no further information was recovered. Additionally, in a Loremaster’s Archive article on the official website, Telenger the Artificer appears in-character to respond to questions sent in by players. In one of his responses to a question regarding the relations between the Sload and Mannimarco, he suggests that the Eyes of the Queen might know more about an entente between the two. Connections can be drawn here with N’Gasta, who we previously established had a pact with Mannimarco himself. This makes the possible appearance of the Sload even more likely. Another part of the Loremaster’s Archive article was Telenger furthering the rumours that the Sload were trying to rebuild the Coral Tower, but he also claims that the Sapiarch of Scrying may know more. This is not the only time he refers to a Sapiarch either, he also claims that the Alianora the Red, the Sapiarch of Alchemy, may be interested in the alchemical properties of Sload Soap (a rare substance that the Sload make out of their own offspring). The Sapiarchs are a group of leading scholars within the Summerset Isle. Obviously, their island of residence is of great interest to us, but these Sapiarchs have caught our attention especially since among the costume icons data mined in the last PTS update, one was named Crystal Tower Sapiarchs’ Gown. This means that we could see the Crystal Tower Sapiarchs who wear these gowns at the Crystal Tower itself, close to the northern tip of the Summerset Isle, northwest of Cloudrest. "Are there any plans to add the Sload to ESO or any additional lore to the race?" "We love the Sload! We originally planned to have them in the game at launch, and I wept actual buckets when they ended up deferred. The Sload are bound to come shambling onto the shores of Tamriel at some point, if I have anything to say about it (which I may not, alas)! We shall see." This deferment that Schick is referring to is probably the zone of southern Alinor which got pushed aside in favour of Auridon at launch, resulting in the Sload also being cut. While it is likely that the southern Alinor story we might see differs from what is reflected in the original data mined dialogue, it is still worth thinking about. The Sload seemed to only play a relatively minor part compared to the Maormer in the story. Hopefully they play a greater role in ESO, if we do indeed get to meet them. Keeping in mind all the Sload information that we have put forward, we can now look at all the Sload-related assets found in the game files with the latest PTS update. Within these folders are three animations; two of which we can visualise and another which we cannot due to the lack of an associated model. The idle animation for a Sload model: ESO_Sload_L_Idle. Unfortunately, because we do not have the Sload model, we cannot play this animation. Moreover, in the lang file (where all text shown in the game is located), there is a new tooltip called ‘Sload Ruins’. Among the oldest ruins of the Summerset Isle, some are made of coral as is typical of Sload architecture, which only further suggests that we might be seeing the island soon. While we can never say for sure that data mined assets will make their way to the live servers, it looks very likely that we will be seeing the Sload in the near future as enemy NPCs/creatures, due to the animations and abilities found in this latest data mine. Based on the links that have been made through hints that are already in ESO, context provided by the developers, and previous data mined information, it should be safe to assume that the Sload will be coming with the same update that brings the Summerset Isle. Exciting!